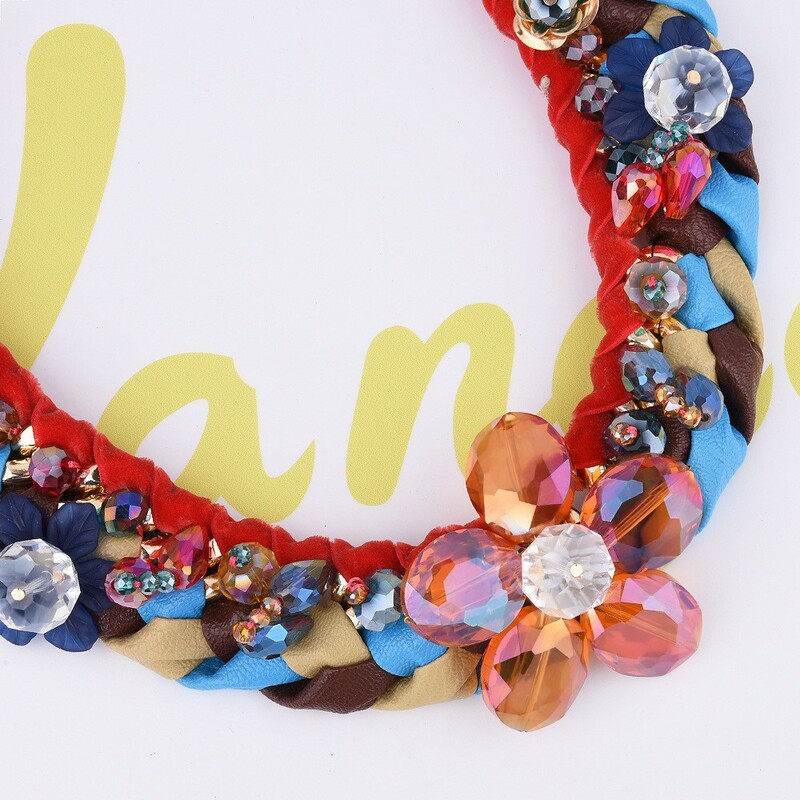 Evoking a sparkle & modern appeal, under with this colorful beaded cluster chunky bib statement necklace. 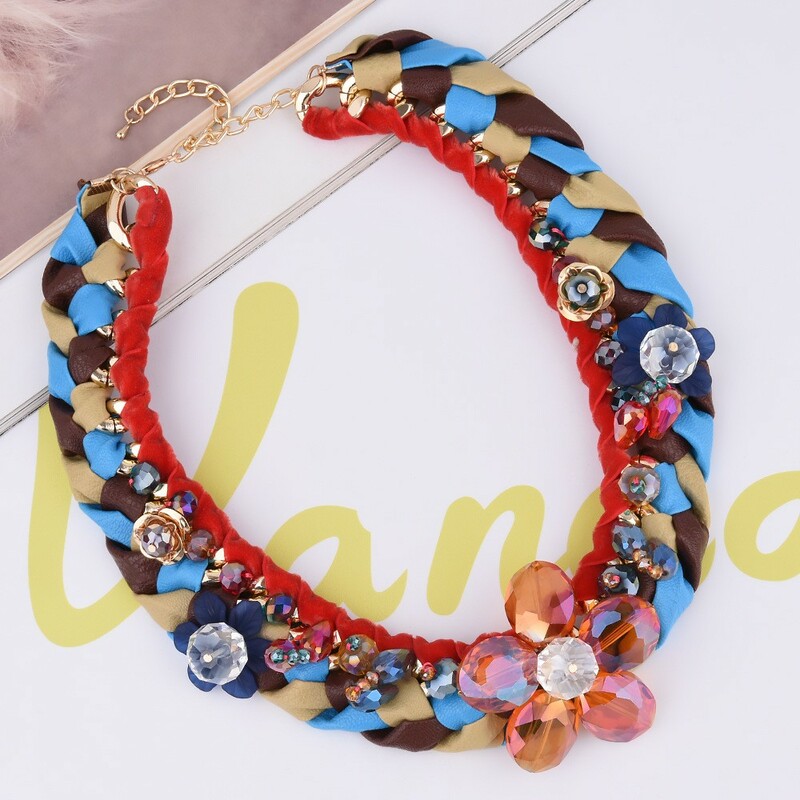 Fashion colorful gemstone cluster design, made with high quality pure resin, two beautiful color for your different outfit, macth with a convient metal lobster clasp. The necklace approximate perimeter 47 cm, and 6.5 cm extender alloy chain. 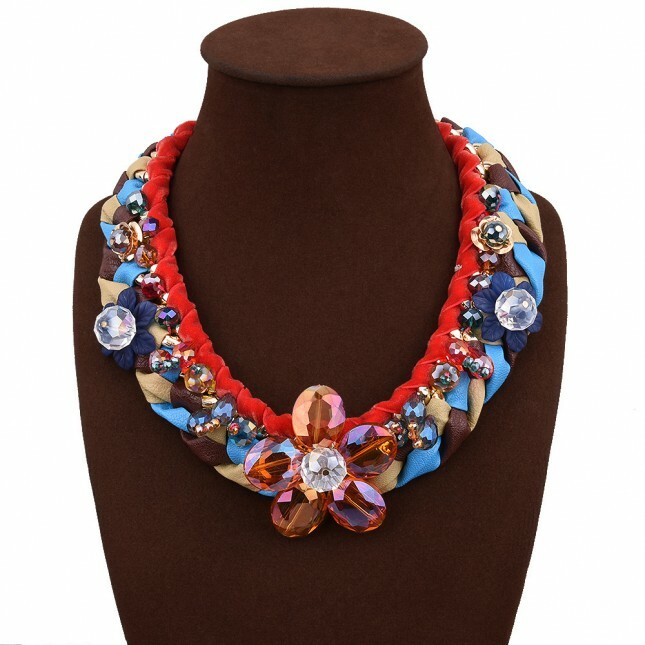 Evoking a sparkle & modern appeal, under with this colorful beaded cluster chunky bib statement necklace. 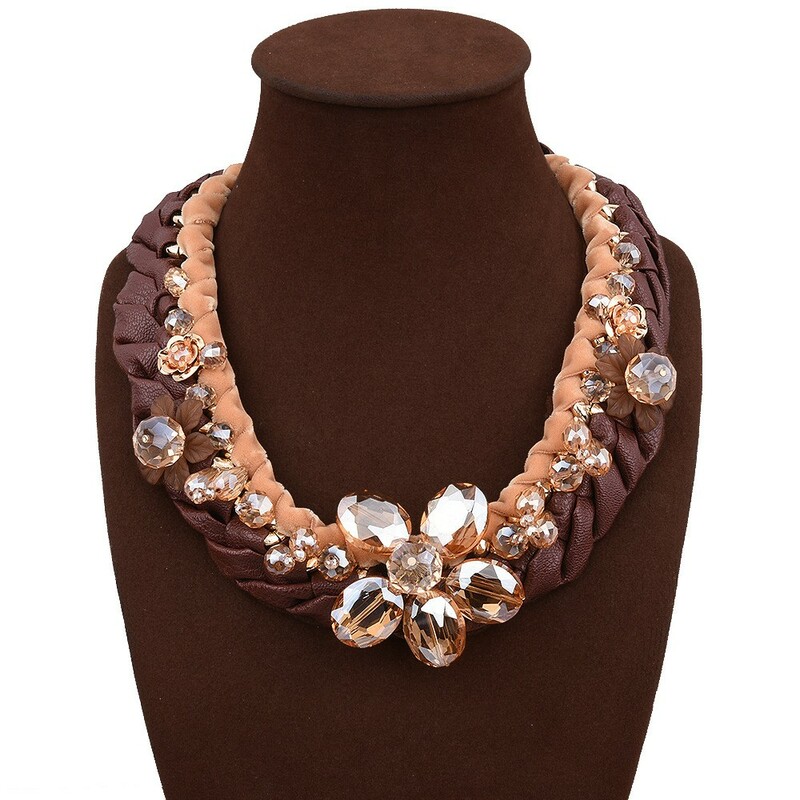 Fashion colorful gemstone flower design, made with high quality pure resin, black, brown and blue, this three beautiful color can suit for your different outfit, match with a convenient metal lobster clasp. 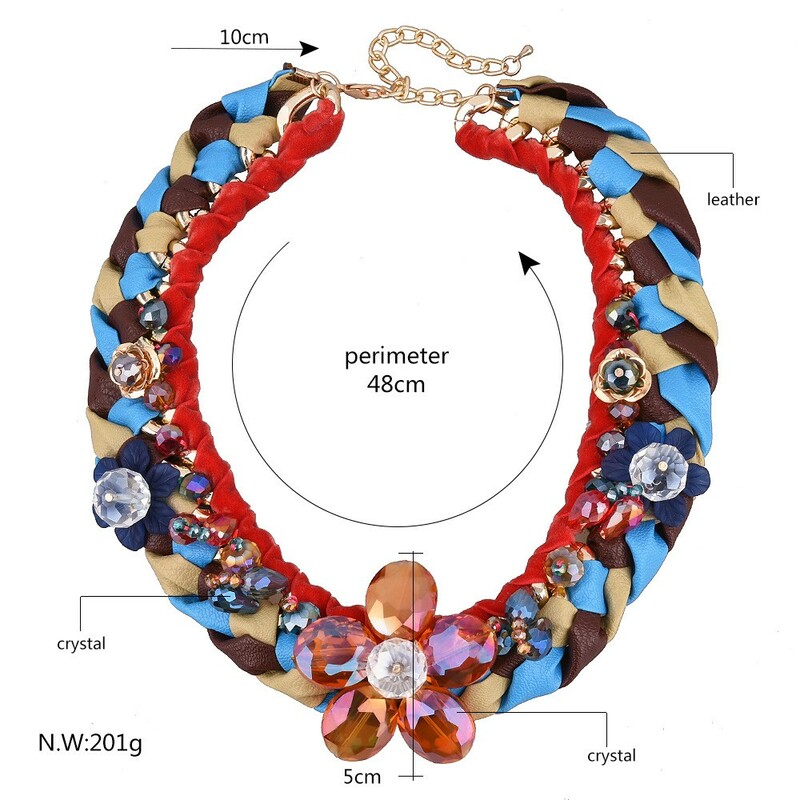 The necklace approximate perimeter 47 cm, and 6.5 cm extender alloy chain.